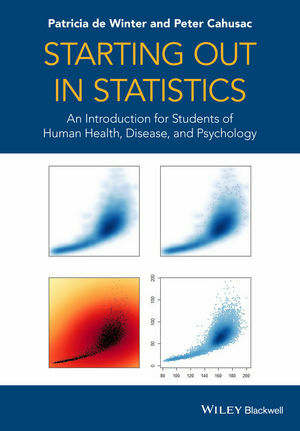 To form a strong grounding in human-related sciences it is essential for students to grasp the fundamental concepts of statistical analysis, rather than simply learning to use statistical software. Although the software is useful, it does not arm a student with the skills necessary to formulate the experimental design and analysis of a research project in later years of study or indeed, if working in research. Patricia de Winter, Research Associate, University College London; Sessional Lecturer, Birkbeck College London; Translational Uro-Oncology, Division of Surgury & Interventional Science, University College London. Peter M. B. Cahusac, Lecturer, University of Stirling, Department of Psychology, University of Stirling, Scotland.